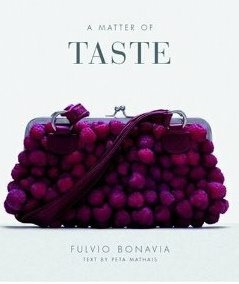 Before I sign off completely (with visiting relatives) to enjoy this Memorial Day holiday weekend, I'd just like to share some of the truly awesome imagery of photographer Fulvio Bonavia's masterful book A Matter Of Taste, conceptualizing both food, and believe it or not, fashion accessories. Happy outdoor grilling, and have a terrfic weekend! And please... let us never forget the brave men and women of our armed forces, who continue to serve our country each and every day with their own lives. 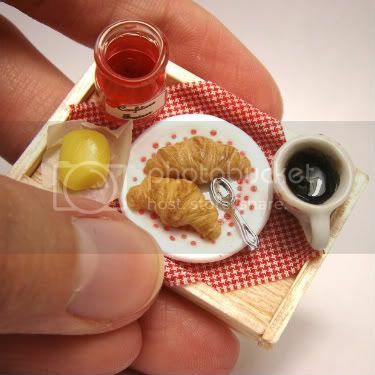 Taking the term "lean" cuisine to a whole new level, French artist Stephanie Kilgast creates miniature food models scaled down to 1/12th of their original size. From a tiny continental breakfast with a pair of croissants you could fit on a thumbnail (pictured above) to a Lilliputian-sized fish platter, her creations are nothing short -- of amazing. Considering that there are still some people left who wouldn't shy away from the dreaded F word when it comes to preparing chicken, keep in mind that there's a decision to make: Just how much trouble would you want really to go through in order to do it? 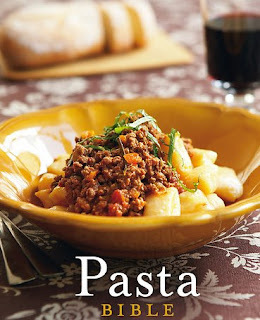 There are populist cookbooks that promise basic recipes for basic people. These take shortcuts and try to speed the process. Meanwhile, lots of fancy, big-name chefs write folksy cookbooks for the little guy, too. But it's a very specific sort of little guy they have in mind—the kind willing to toil for days on end just to get food on the table. Which brings us to the ultimate fried chicken "throw down." 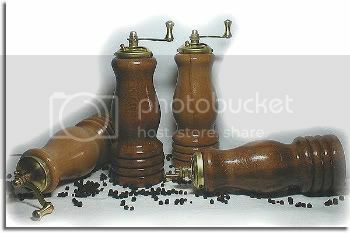 Throwing down the gauntlet (or should I say greasy oven mitt) and representing the populists with a shaker of Lawry's seasoned salt, is Ree Drummond, the Oklahoma ranch wife best known for her chatty, open-hearted blog, the Pioneer Woman, in which she documents her daily life frosting cinnamon rolls and herding cattle. Published last fall, Drummond's best-selling book, The Pioneer Woman Cooks offers recipes for easy, family-style comfort food, like pot pie and cobbler. 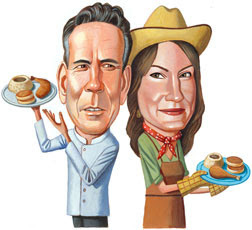 In the other corner, with his fleur de sel and palette knife, hovers Thomas Keller, the perfectionist founder of hallowed Napa Valley restaurants, including the French Laundry. Keller's best-selling book, Ad Hoc at Home promises recipes for "doable" family-style comfort food, like pot pie and cobbler. Read more here and see how it all plays out. In these tough economic times in the publishing world, I think it's heartening to know that "gaffes" can still sell books. And, the more provocative and controversial the gaffe – the better the chance that books will literally fly off the shelves. It seems such is the case that emerged in April in The Pasta Bible, urging readers to add "salt and freshly ground black people" to a recipe. Since then, sales of the Australian cookbook have almost quadrupled. Last month a reader got in touch with Penguin Australia about the error in the cookbook's recipe for tagliatelle with sardines and prosciutto, which in substituting "people" for "pepper" forced the publisher to send the 7,000 copies of the book at its warehouse to be destroyed. But far from putting readers off The Pasta Bible, the Bookseller reveals that sales after the mistake was discovered are up 275%. And with international cries of everything from racism to cannibalism over what I see is nothing more than a costly "error" on a publisher's part, all I can say is: Staying "grounded" in the face of adversity? Priceless.